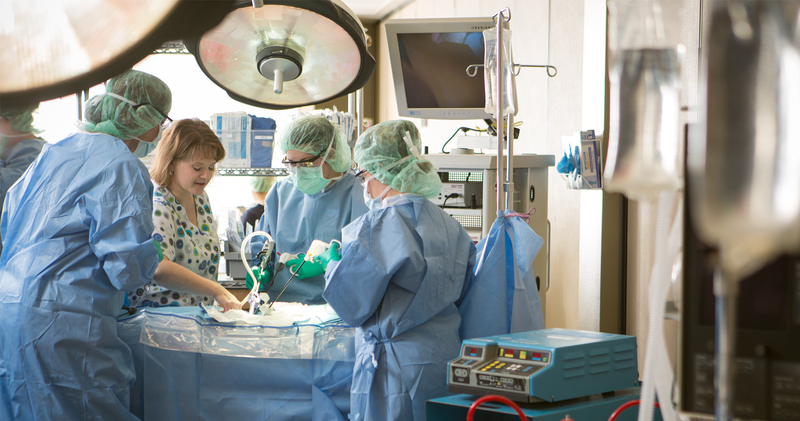 Are you interested in our Surgical Technology Degree Program? The goal of the Surgical Technology Program is to prepare competent, entry-level surgical technologists in the cognitive (knowledge), psychomotor (skills), and affective (behavior) learning domains. This program is accredited by the Commission on Accreditation of Allied Health Education Programs (CAAHEP), 25400 U.S. Highway 19 North, Suite 158, Clearwater, FL 33736, which allows graduates to take the national certifying examination sponsored by the National Board for Surgical Technology and Surgical Assisting (NBSTSA). For more information about accreditation, click here. Graduates of accredited surgical technology programs complete a comprehensive education in which they receive in-depth knowledge related to the operating room. This includes completion of a surgical rotation during a clinical experience. Throughout the educational experience, the surgical technology student learns the principles of asepsis and application of sterile technique. It is the position of The Association of Surgical Technologists (AST) that surgical technologists are subject matter experts in these principles. Other healthcare providers are recommended to draw upon the expertise of the surgical technologist to share their knowledge and skills in order to prevent the patient from acquiring an infection. During the clinical portion of the program, students will complete a minimum of 120 cases of various specialties in the first or second scrub role. At the completion of all clinical requirements, students will sit for the national Certified Surgical Technologist (CST) exam. Surgical technologists stand at the leading edge of advancements in surgical techniques and interventions using their professionalism, expertise, and abilities to make a difference. 1. Complete WDT Application online. 2. Submit High School transcript or GED scores. 3. Submit Immunization Records verifying two doses of MMR vaccinations. 4. Submit official college transcripts if you have previously attended a post-secondary institution. 5. Complete the ACCUPLACER test ($15.00 fee). You can take the TEAS-V a maximum of 3 times, with a 1 week waiting period between re-tests ($70.00 testing fee each time). The ACCUPLACER and TEAS-V test are offered Monday – Friday at 8:00 a.m. or 12:00 p.m.
Students that sit out for a spring or fall semester or longer, will return under a new Catalog and may be required to repeat courses or successfully complete new or revised skills or competency assessments. Before readmittance, the program may need to determine if a student is eligible to continue in technical courses. Program sequencing and cohort size may prevent enrollment in technical courses. Surgical technologists are vital members of the surgical team and are involved in all aspects of a patient’s care while in surgery. Surgical technologists are relied upon by surgeons, nurses, anesthesia providers, and numerous other health care professionals to be the technical specialists in a vast area of expertise. Surgical technologists use a wide variety of knowledge and abilities in surgical sciences, anatomy and physiology, microbiology, and patient care to provide vital support to the patient and the surgical team. The discipline of surgery is an ever-changing arena of health care, making considerable leaps in technology, techniques, and interventions almost daily. Surgical technologists stand at the leading edge of this revolution, using their professionalism, expertise, and abilities to make a difference. A surgical technologist is an allied health professional working as a part of the team delivering surgical care. They work as members of the surgical team made up of surgeon, surgeon's assistant, circulation nurse and anesthesia provider. They possess knowledge and skills in sterile and aseptic techniques. With the health care industry expected to continue growing through 2020, the average salary for a surgical technologist is $41,000 per year.